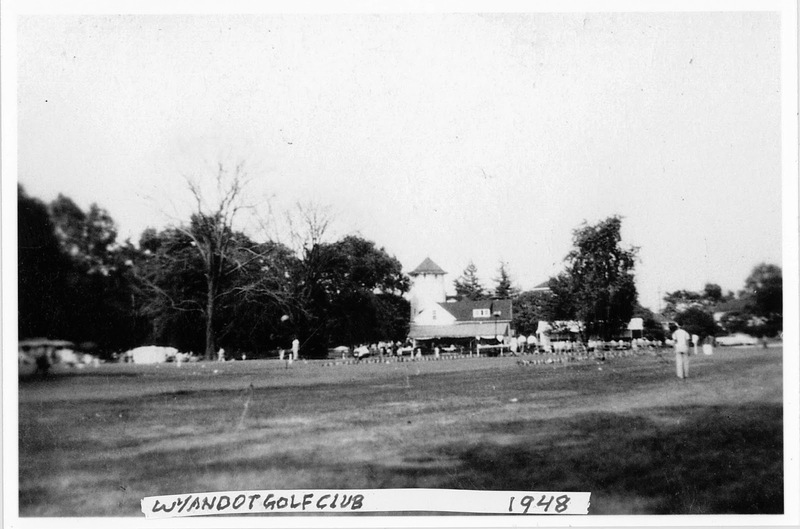 It must have been a bittersweet feeling to have been a member of Wyandot Country Club in the summer of 1946. On the positive side of things, the war was over. With rationing and self-sacrifice now behind them, the club's golfers could play their rounds guilt-free. All of the area courses were bustling with activity. And despite the sale of the course property to the State of Ohio, golf was still being played at Wyandot! The press of other post-war spending priorities had, for the time being, stalled the State's plans to construct new schools for the blind and deaf. The State had decided to let the country club continue occupancy under short term lease arrangements, until such time as the government was ready to proceed with construction. But the members realized this reprieve was only temporary, and that it was only a matter of time before their course would be lost. With memberships beginning to fill up at Brookside, York Temple, Columbus, and Scioto, many Wyandot members worried that if they procrastinated in switching to one of the other golf clubs, they might have trouble gaining membership or be forced to mark time on the waiting list. Thus, a steady stream of member resignations began to hit the club manager's desk. There was little reason to be the last man or woman out the door. Still, the hardy band of surviving members did their best to hold things together in 1946. The club even hired a new man to fill the golf professional slot that had been vacant since Francis Marzolf left in 1942. The new pro, mustachioed Al Marchi, could really golf his ball. He won a wide assortment of local professional events, and subsequently became the Ohio Open Champion in 1947. He was a good enough player to take a brief flier on the pro tour. 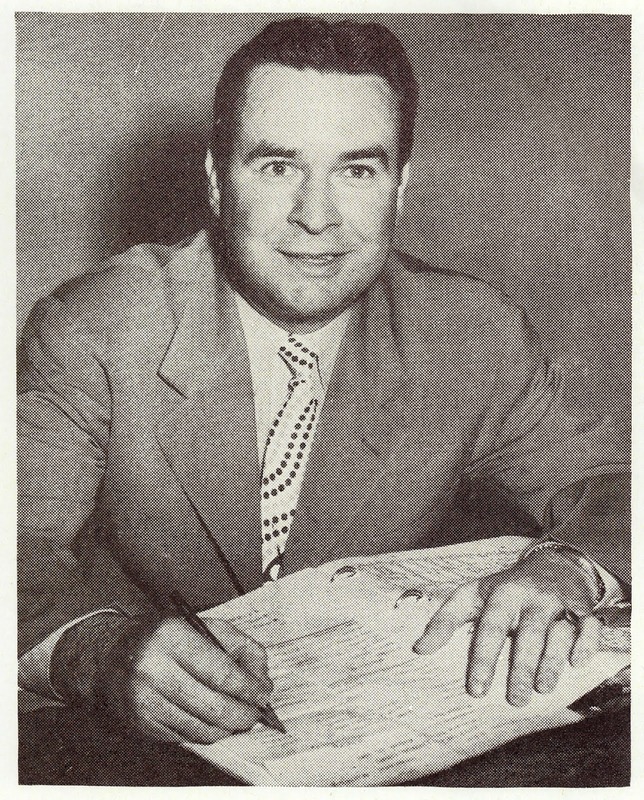 Buoyed by the sponsorship of Dayton diamond merchant Jack Werst (the owner of the "Vanderbilt and Styx diamonds), Al competed in several tour events in the summer of 1950. Marchi was a talented teacher of the game as well. A prized pupil was Ohio State golfer Bonnie Randolph, who later enjoyed a distinguished career on the LPGA tour, garnering a victory and recognition by Golf Digest as that tour's "Most Improved Player" of 1958. Both the Columbus District Golf Association and the Franklin County Women's Golf Association scheduled their respective championships at Wyandot in 1946. Presumably, both associations were cognizant of the fact that '46 was likely to be the last year that the club would be in existence. Harold Todd defeated Hammy Hedges 2 and 1 in a tense 36 hole final to claim the CDGA District Amateur title. The final of the Franklin County Women's Amateur at Wyandot proved to be a fitting last hurrah for the club and two of its most accomplished female players. 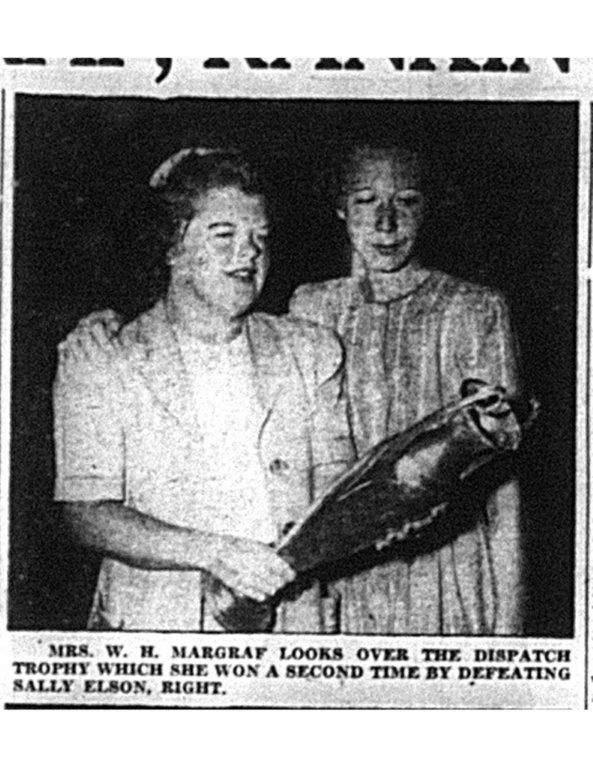 In a rematch of their 1945 final, Mrs. William Margraf (formerly Chester Skees) downed her great friend and rival Sally Elson 4 and 2 to repeat as champion. Mrs. Margraf's wonderful final round of 80 kept Miss Elson at bay. Faced with an untenable situation, the club finally gave up the ghost and disbanded after the 1946 season. For awhile it appeared that the course would lie fallow until the schools were built. But a master politician, gifted with a driving will and a love of golf, stepped forward to provide the course a lifeline. James Rhodes, then Mayor of Columbus and later Ohio's four-time governor, supported and promoted golf in myriad ways throughout his political career. In the spring of 1947, he was unhappy with the state of the City's municipal golf operations. The city's lone muni golf course, Twin Rivers (located where the Twin Rivers U.S. Post Office is now situated), was short and relatively unchallenging. Worse yet, the City only leased the Twin Rivers course, and the owners of the property were readying to build a large plant on the site which would result in a further shortening of the course and moving of greens. According to Columbus Dispatch sportswriter Paul Hornung, Twin Rivers was being "threatened with eventual abandonment." While discussions were ongoing regarding the feasibility of the city buying land and building another municipal course, nothing had yet come of them. The city desperately needed another golfing facility. Rhodes came up with a plan: with the State giving no sign that the schools at the Wyandot property would be constructed anytime soon, why not have the City operate the Wyandot course in the meantime? 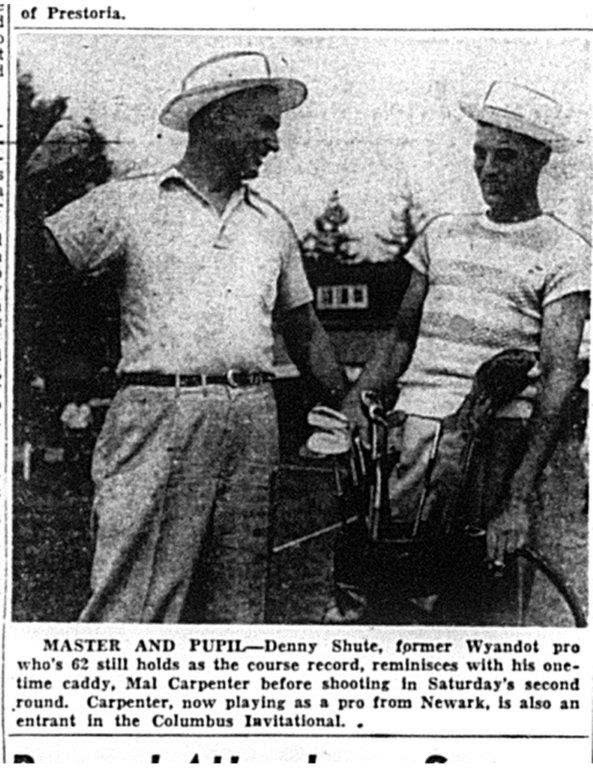 With luck, Wyandot could bridge the gap until the new facility was on board (eventually a new muni- Raymond Memorial- opened for play in 1953). And who knows! Maybe the Mayor could work some of his vaunted political magic to further extend the life of the course. The State drove a hard bargain. While the agreed upon annual rental of $1,680 was not overly burdensome, another clause in the lease was troublesome. The government insisted on a 30 day "notice to evacuate" clause as a condition of its leasing the property to the City. It was going to be challenging for the City's Parks and Recreation Department to safely plan a golf season- tournaments and leagues etc.- knowing that the course might be forced to shut down in mid-season. But the Mayor plunged forward and accepted the terms. With a stroke of the pen, the State, at the behest of Mayor Rhodes, had granted the Wyandot course a second reprieve. Thrilled with the opportunity to play a top-level country club course, Columbus's publinx players flocked to Wyandot in 1947. 11,944 rounds were purchased by daily fee players. In addition, the City sold 181 annual "memberships." The City's Annual Report boasted that "by this acquisition, our citizens had an opportunity to play on a golf course equal in quality to a private course, at rates within reach of all." Undaunted by concerns that the State could precipitously shut down the course, Rhodes showcased his new toy (Wyandot) by promptly scheduling it to host the 72 hole state public links championship in June. This was simple enough for Rhodes to arrange since one of the many "hats" he wore was chairman of the state public links association. Val Chiaverini from Toledo, a three time state publinx champion, posted a fine 291 total to win the title. 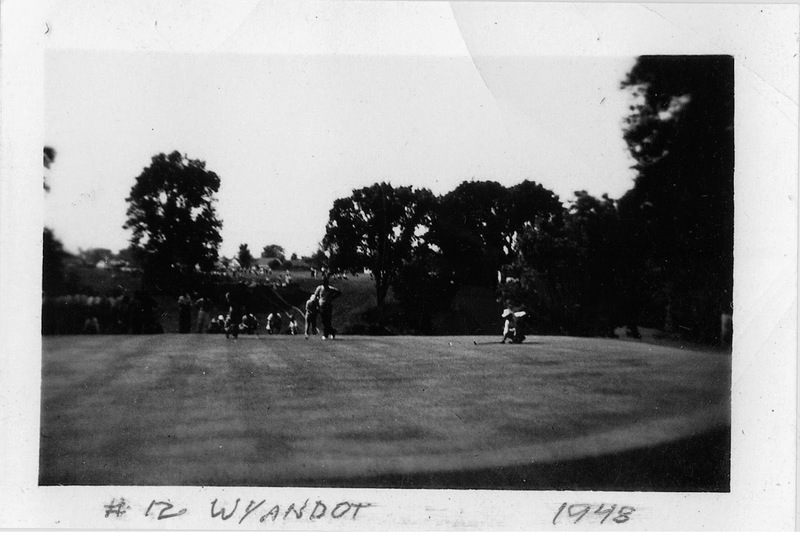 Throughout the summer of '47, Columbus golfers availed themselves of their newfound chance to play Wyandot. The availability of junior memberships was a particular boon to young golfers, affording them an opportunity to play golf frequently yet cheaply. Bill Amick was one of the youths who took advantage of the City's junior program. Bill later became a prominent golf course architect located in Florida. His course design motto is "I want to see golfers smiling when they leave the 18th green!" By his own too modest admission, he "never had a real job- I just hung around golf courses. I still do." A good player who competed collegiately at Ohio Wesleyan, Amick noted that most of the municipal players had difficulty hitting Wyandot's tight fairways. He observed that most "would have been better off with an axe instead of a 9 iron!" Some golfers obtained an even sweeter deal than the juniors. Dr. Fred Balthaser, long-time respected rules official for the Columbus District Golf Association, was among them. 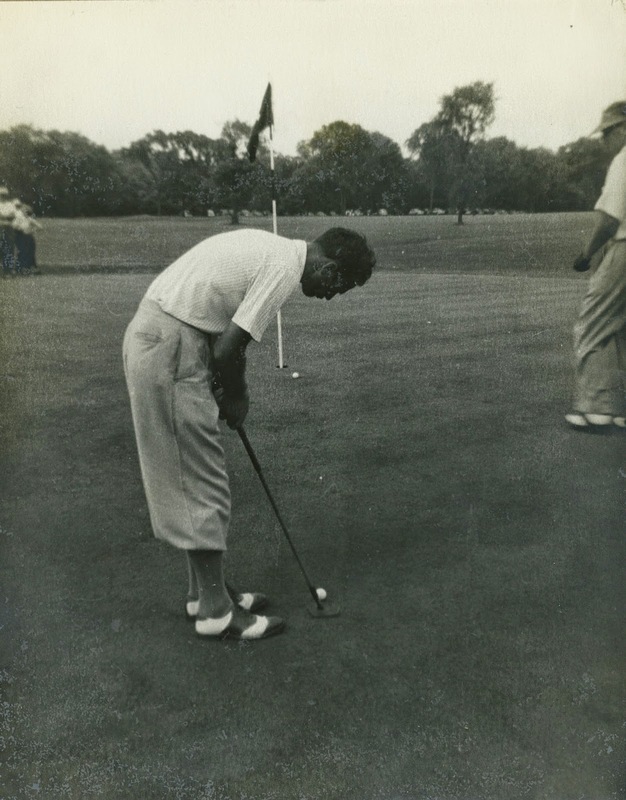 As an employee of the City Park and Recreations Department in 1947, he played the course for free! Mayor Rhodes, ever restless in seeking out ways to promote golf in general and Wyandot in particular, came up with a beauty for 1948. Columbus Country Club had hosted a PGA tour stop in '46 and '47- the Columbus Invitational. Managed by the "Zooligans," an eponymously named group that used the event as an opportunity to raise money for the Columbus Zoo, the Invitational was a big deal. With a $10,000 purse, the first two events had attracted big-name entrants like Hogan, Snead, Nelson, and Demaret. Nelson had won the tournament in 1946, and beknickered South African Bobby Locke had carried off top honors in '47. Columbus Country Club declined to host the Invitational a third year, so the venue for the '48 event was up for grabs. Rhodes pounced! 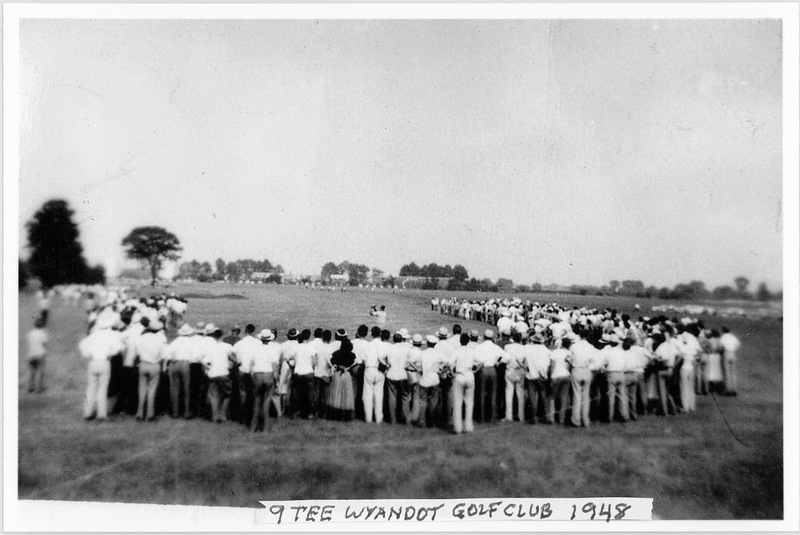 The '48 Invitational would be held at Wyandot. How did the opportunistic Mayor pull this one off? Easy! He also was the man in charge of the Zooligans. 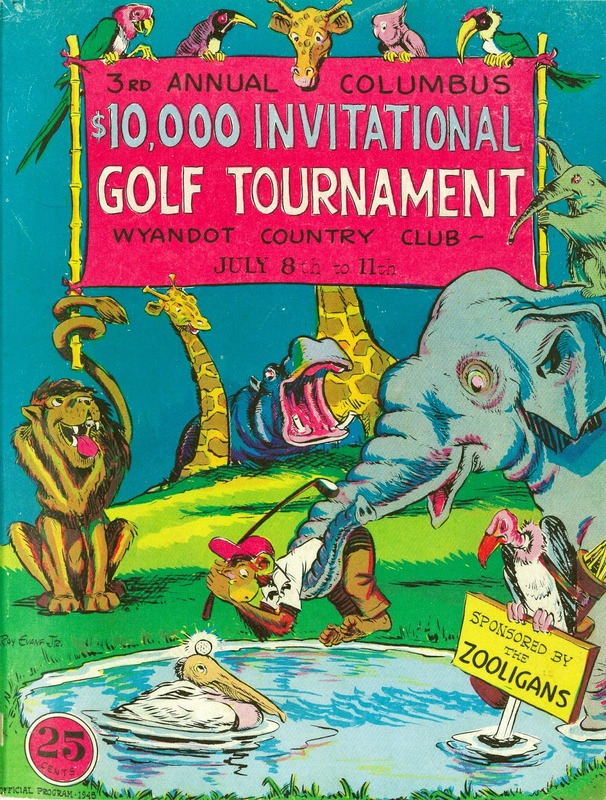 With distinguished Judge Wayne Fogle in place as tournament chairman, the Zooligans and the City made Wyandot ready for the Invitational's opening round to be played the second week of July. Thirteen of the top twenty-two PGA tour money winners entered the '48 Invitational (sometimes referred to as the "Zooligans' Invitational"). But not even Jim Rhodes' smooth talking was enough to entice top stars Sam Snead, Ben Hogan, Jimmy Demaret, Lawson Little, Jim Ferrier, and Lew Worsham into the field. Their absence was conspicuous because each had played in the Invitational when it had been held at Columbus. The lightness of the purse certainly had something to do with their decision not to play. The PGA had recently adopted a rule recommending a minimum tournament prize money floor of $15,000. However, the Zooligans, figuring that an increased purse would jeopardize the zoo's charitable take, kept the pot at $10,000. Still, the field was star-studded. 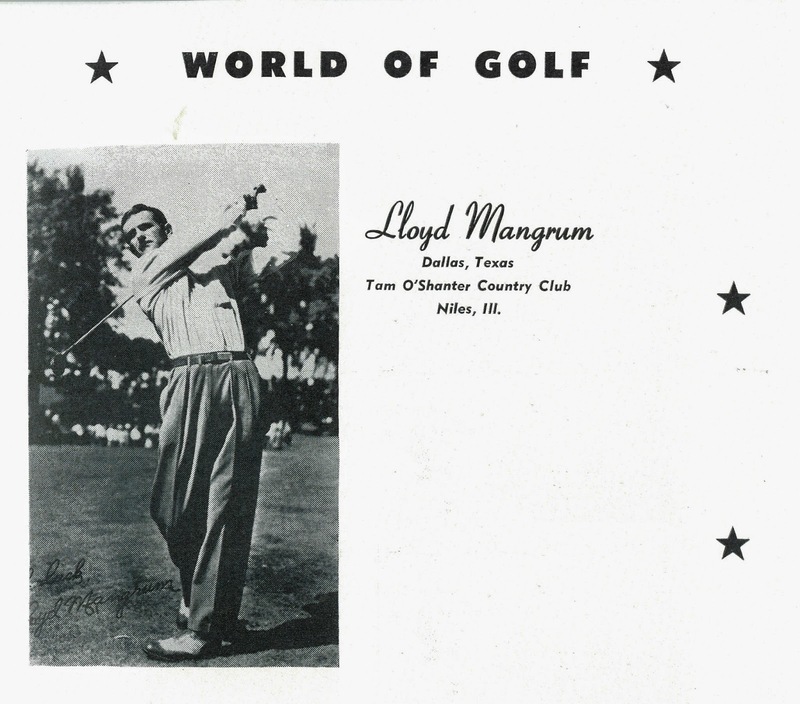 Lloyd Mangrum, second leading money winner and 1946 U.S. Open champion would be on hand. 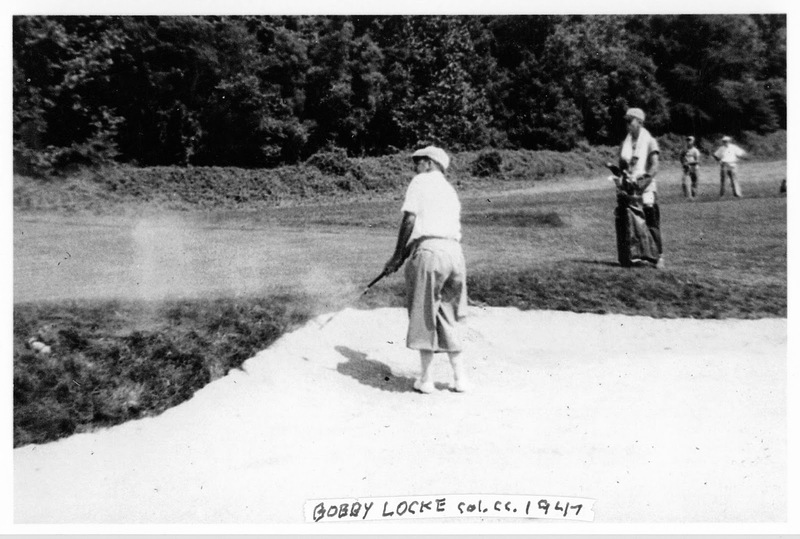 So would Bobby Locke, the third man in the money rankings, and the Invitational's defending champion. The pundits felt that Locke's straight and "controlled" driving would be perfect for Wyandot which "penalizes the 'strayer'." Other competing players who had won or would win major championships included Dr. Cary Middlecoff, Ed Furgol, Bob Hamilton, Chick Harbert, Jim Turnesa, Herman Keiser, and Columbus's favorite son Denny Shute, now 43. Tour stalwarts Dutch Harrison, Skip Alexander, Fred Hawkins, Ky Lafoon, Freddy Haas, Ellsworth Vines, Johnny Bulla, Johnny Palmer, and Clayton Heafner were also gunning for the Invitational's first prize of $2,000. 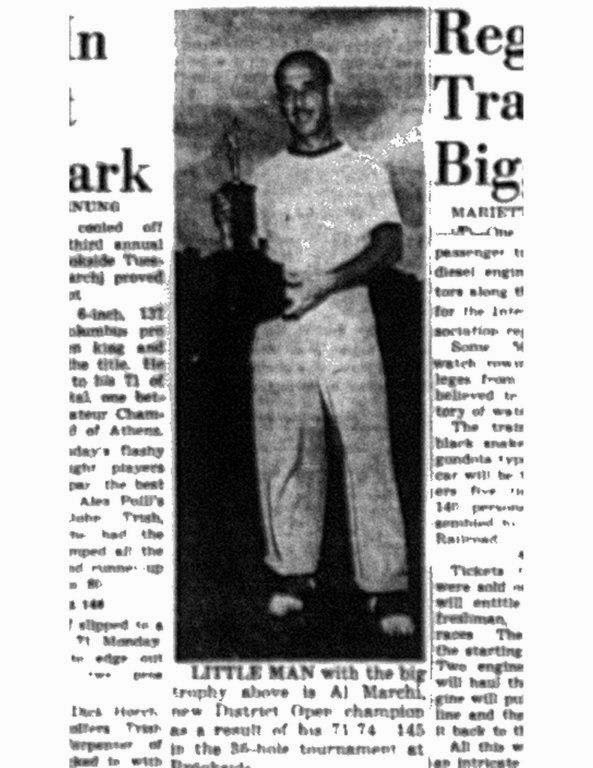 Toledo amateur and Champion Sparkplug scion Frank Stranahan, couldn't accept prize money, but he was one the 103 who teed it up. Rounding out the field were local luminaries Francis Marzolf, Danny Carmichael, Bob Kepler, Mel Carpenter, Barney Hunt, Pete Sohl, and Pete Dye from Urbana- better known much later as one of the greatest golf course designers of his generation. The Columbus newspaper scribes, happily ensconced in their quarters on the clubhouse's terrace, filled their columns with speculation as to whether the short 6433 yard, par 71 course would withstand the onslaughts of the world's best. Local pro Joe Thomas estimated that the winning score would be anywhere from 272 to 276. Joe allowed that the score could go higher as any appreciable amount of wind would cause the course to tighten up considerably. Francis Marzolf forecasted a tally of 270 would get it done. Scribe Russ Needham predicted the first hole could give the big boys fits. "The green looks very inviting, but it's built like an inverted saucer. A pitch that lights in the middle with sufficient backspin will be safe enough....But a shot on the far side is apt to trickle off, possibly into some of the 1000 tons of sand recently sprinkled about the place." Controversy enveloped the tournament as soon as the pros hit the course for their practice rounds. Most complained about the length of the fairway grass and the rough around the edges of the greens. Lloyd Mangrum was particularly piqued and was vocal in his criticism. 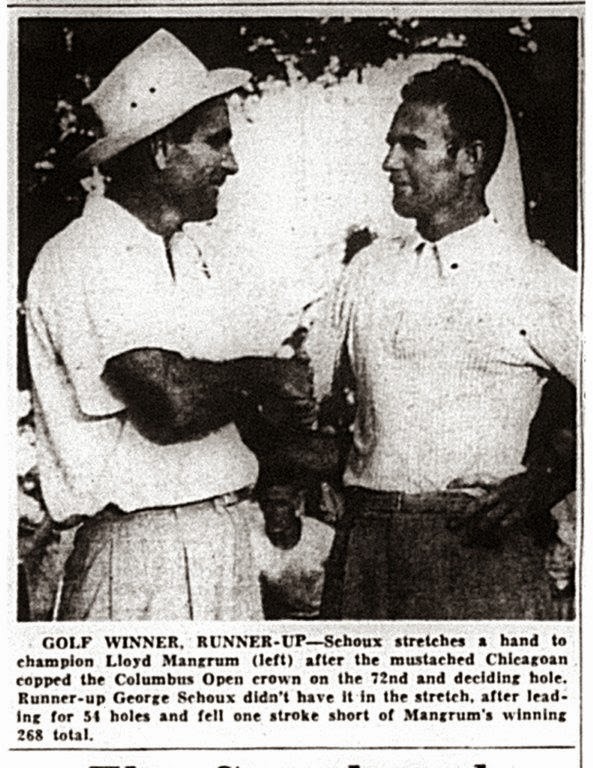 Presumably the organizers were concerned that the pros would embarrass the short Wyandot course with rounds in the low 60's, and elected to defend the course by letting the grass grow. But the criticism hit home, and Judge Fogle ordered the mowers out in force prior to the first round. 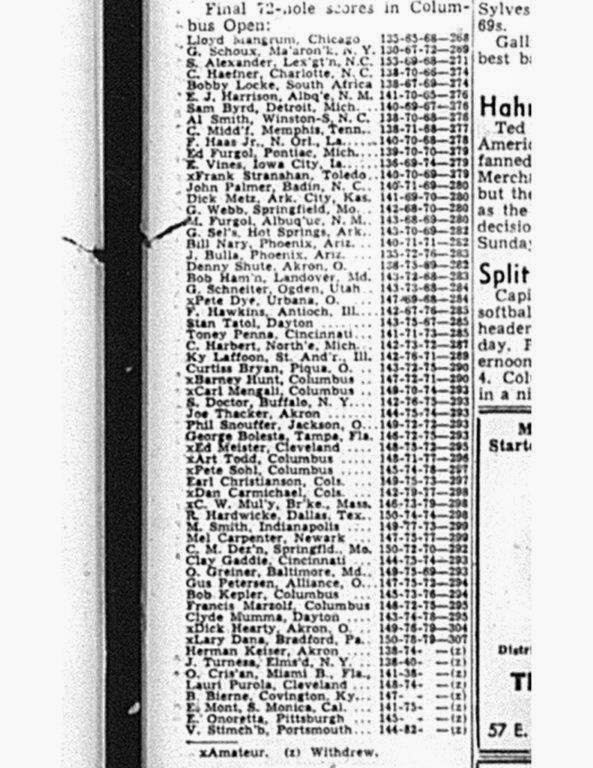 Another fly in the ointment surfaced when a columnist from the Columbus Citizen, a morning newspaper, groused that the sports editor from a competing paper had "appealed to everyone except the ghost of Hitler in his successful effort to keep the first-day pairing list, or any part of it, from appearing Thursday in a rival sheet owned by the same family." As with any golf tournament, it takes a squadron of volunteers to run the tournament. In the '48 Invitational, several came from the greenkeeping staffs of the other Columbus courses. 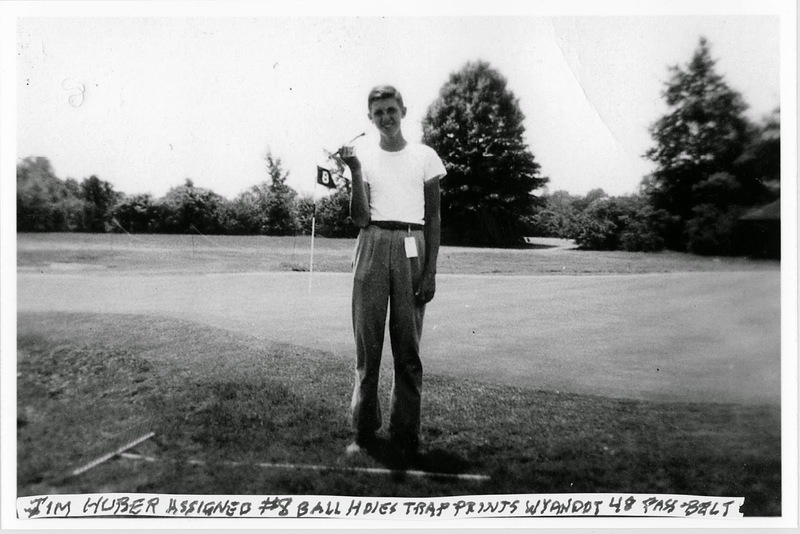 University contributed young Jim Huber, son of Elks'-Wyandot's longtime greenkeeper Lawrence Huber. Jim repaired ball marks and raked the traps on Wyandot's 8th hole. After Thursday's practice round, Chick Harbert, who, according to Citizen sportswriter Kaye Kessler, looked "more like a fashion plate than America's most potent man with a driver," emceed the pro's clinic. In what was a harbinger of the skill he would exhibit during the tournament, Mangrum put on the best show. 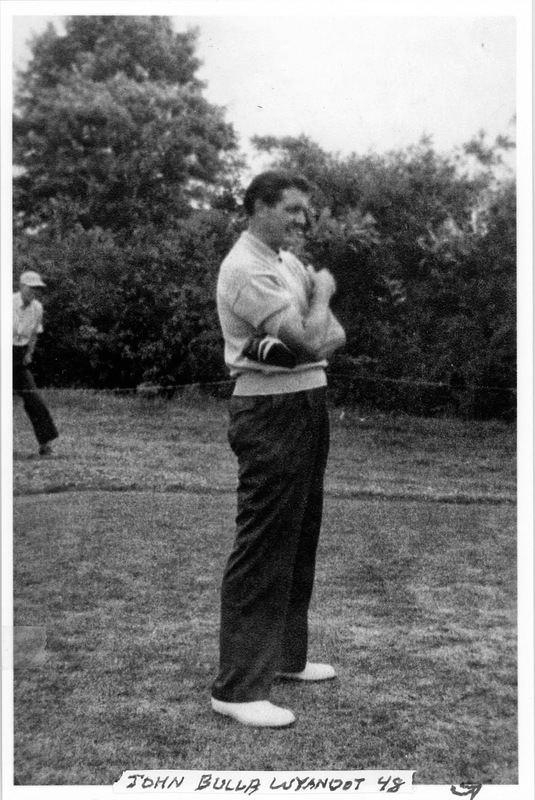 Kessler reported that in the process of his 3 iron demonstration, Mangrum hit three hooks, three slices, three straight down the middle, three low wind balls, three straight out, and three that looked like 9 iron shots." In the driving contest, Skip Alexander bested long-knocker Harbert with a blow of 330 yards. The sun was hot and the course severely baked out once the game was on for keeps. The course according to Kessler, was playing "faster than a pool table." The tented refreshment stand did a brisk business. Emerging to take control of the tournament was young San Francisco pro George Schoux. His sizzling 36 hole total of 130 put him four ahead of Skip Alexander and up 5 over tournament tough Lloyd Mangrum. His score could have been one shot lower, but Schoux called a penalty shot himself on Wyandot's 13th green when his ball moved slightly after he addressed it. No one noticed the infraction but Schoux himself. Winner of only one tour title, Schoux was regarded as a player with a great swing and talent, but also as one who had become obsessively devoted to practice. Some thought his singlemindedness was holding him back from greater success. But overshadowing Schoux as the top story of the second round was Johnny Bulla's incredible double eagle on the par 5 457 yard 15th hole. Evidently aided by the baked conditions, Bulla, Sam Snead's old running-mate on tour, drove 330 yards and then holed out from there. Nonchalant about the shot, Johnny shrugged and said that he "just took my niblick, and holed one out. That's all!" He shot 67 that should have been lower. Unfortunately, Johnny tanked in subsequent rounds. Kaye Kessler of The Citizen reported that Bulla missed 5 three foot putts in his Sunday afternoon round. Purging his frustration with Cary Middlecoff, Bulla then "broke his putter over his knee and handed over [to Cary] the two pieces." Sunday's concluding double-round turned into a two-man dogfight between soft-spoken Schoux, and the 33 year old Mangrum. With his trim mustache and steely countenance, Lloyd appeared every bit the hard-bitten riverboat gambler. He lived the part too, as he relished engaging in some of the tour's biggest money games. A crowd of 8,000 looked on as the two players went at it toe-to-toe for 36 holes. Mangrum, cast as the patient hunter pursuing a seemingly vulnerable and slightly skittish prey, carded a brilliant 65 in the morning round. Schoux responded well, shooting a fine 67, but still the lead was trimmed to three strokes. The underdog Schoux came over as the more gallery-friendly of the two, smiling effusively and making eye contact with the patrons. He was quickly adopted by the crowd as its favorite. But playing the heavy was the last thing that would bother Mangrum, a twice wounded veteran who stormed Normandy Beach on D-Day. Eventually his relentlessness wore his younger opponent down. Mangrum caught Schoux on the 8th hole of the afternoon round (watched closely by the aforementioned Jim Huber), passed him on the 9th, and took a two stroke lead on the 11th. Playing safe steady golf from there, Mangrum finished with a 68 and a winning total of 268. Runner-up Schoux, slumping a little down the stretch, finished with a final round 72 leaving him a single stroke in arrears. When asked whether the penalty he had called on himself on Saturday had cost him the tournament, Schoux ruefully remarked, "It wasn't that stroke but a lot of others in that afternoon round Sunday," that did him in. "I tried," he shrugged, "and you can't do anything more than that." Mangrum, sometimes brusque in his comments, was uncharacteristically chatty at the trophy presentation. "I enjoyed this probably more than any other pro here, and I want to congratulate them for taking so many strokes." The event was deemed a success. A beaming Jim Rhodes remarked that, "this turnout this weekend is proof that Columbus wants and likes its golf." However, it was clear from Rhodes' remarks that he intended to shelve the Invitational and focus his and the Zooligans' efforts on bringing a major tournament to Columbus. 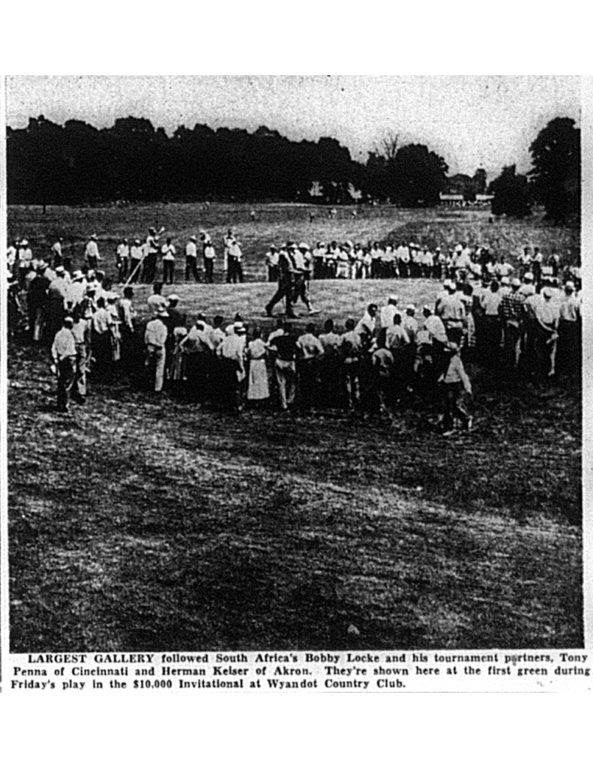 The Dispatch's Russ Needham revealed that it was a near certainty that the PGA tournament (then played at match play) would be coming to Columbus in 1950. He thought that Columbus Country Club would be afforded the right of first refusal to host the event. Needham opined that, "in the event of a refusal [by Columbus C.C. ], Brookside and Scioto probably would be given the nod in that order," (the third choice- Scioto- was ultimately selected to host the '50 PGA). Rhodes also had to be pleased with the uniformly favorable reviews (aside from the pre-tournament long rough) of his municipal golf course. The tournament had provided a vehicle for Columbus golfers and followers of the sport to rediscover the beautiful Wyandot course. While the Columbus golf community had previously become reconciled to the fact that Wyandot would soon be closed, this question began to be asked again in 1948: "Why does this beautiful historic golf treasure have to go?" Mayor Rhodes, playing his political cards with customary adroitness, certainly encouraged the growing drumbeat to somehow reverse the seeming inevitability of the course's closing. As 1949 dawned, the seeds sown by Rhodes to save the course began to bear fruit.